A thug who has been terrorizing school pupils is finally facing justice. Earlier today a mugging incident took place on Empire Rd, Hillside in Parktown. 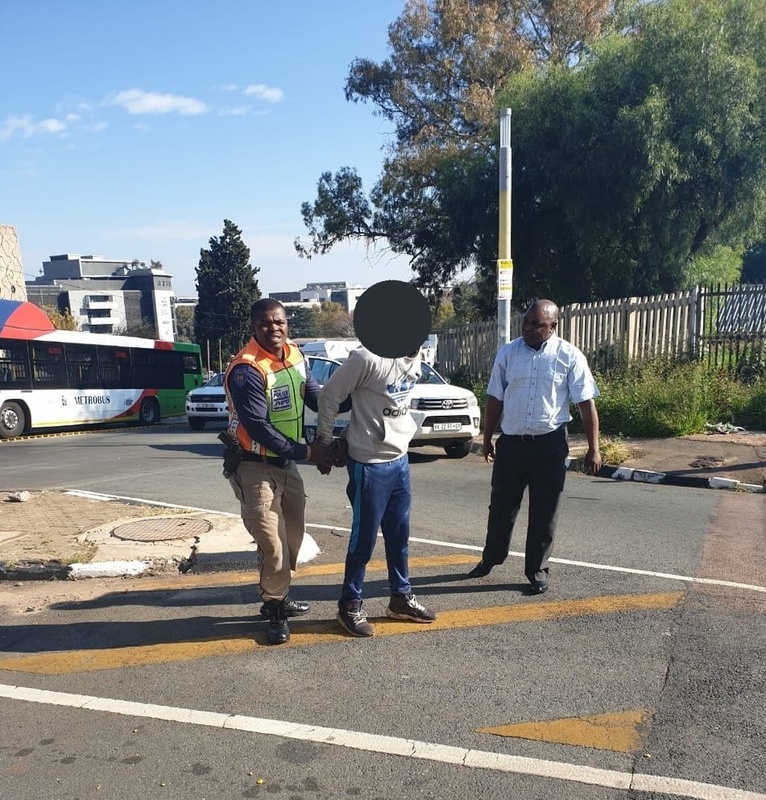 Councilor and MMC for Public Safety in the City of Johannesburg, Michael Sun, said the suspect used a pellet gun to hold up a student for his cell phone. “Nearby JMPD Officers saw this and gave chase on foot, the suspect was arrested. “The student is shaken up but was unharmed, both the cell phone and the gun were recovered,” said Sun. Joburg residents applauded the officers for doing a great job. Lerato Manzini said she hopes this will also be a lesson to other thugs. “Good job. At least we know that something is being done about the safety of our children,” said Lerato.